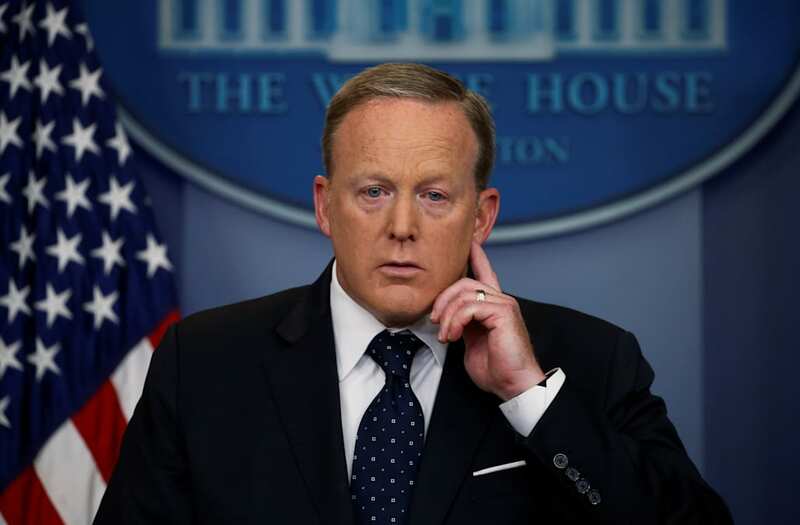 White House press secretary Sean Spicer refused to comment on Tuesday on President Donald Trump's thoughts on Russian meddling in the 2016 election, a bizarre move considering the issue's prominence in the news cycle for months. During his first on-camera press briefing in over a week, the press secretary did not answer a question about whether Trump believed the Russians interfered in the US election, saying he hadn't spoken with Trump about the topic. "I have not sat down and talked with him about that specific thing," Spicer said. "Obviously we've been dealing with a lot of other issues today." Asked about reports from 16 US intelligence agencies that determined the Russians indeed meddled in the US election, the press secretary emphasized he had not spoken with Trump about the topic. "I have not sat down and asked him about his specific reaction to them, so I'd be glad to touch base and get back to you," Spicer said. For his part, although he has taken a number of positions on the issue and attempted to downplay its significance, Trump has acknowledged Russia likely interfered in the election. "As far as hacking, I think it was Russia," Trump said in January during a press conference. Critics were quick to note that Spicer's admission that he had not spoken to Trump about the topic recently demonstrated how removed White House communications office was from the president. The briefing came at a time when Spicer's own role at the White House is in question. Multiple outlets have reported that the White House is searching for a replacement for the press secretary, who has also taken to holding briefings baring cameras and even audio recording.